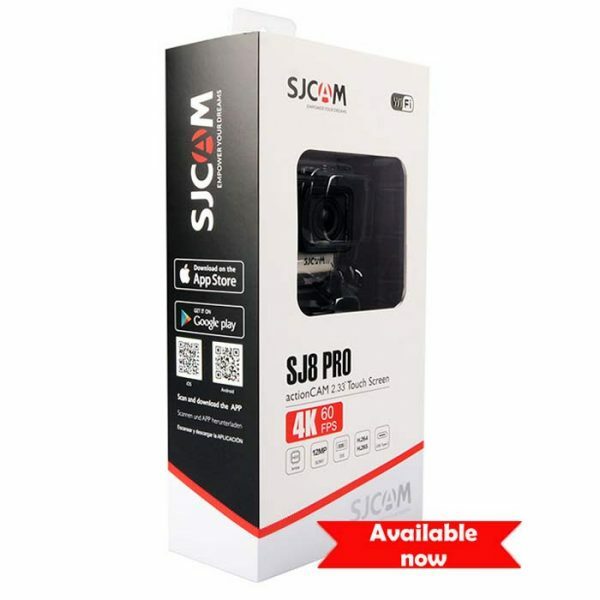 SJCAM SJ8 Pro 4K is equipped with a powerful Ambarella H22 chipset and 1200mAh large capacity battery ensures long-time working, the SJ8 Pro can record native 4K at 60fps. 2.33-inch touch screen, voice control, gyro stabilization, support the external microphone and remote, perfect for photo-shooting, outdoor sports, home security, etc. 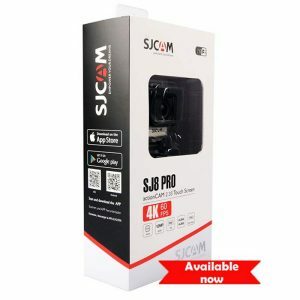 The SJCAM SJ8 Pro 4K is the most advanced camera is the series capable of recording videos in 4K resolution at a speed of 60 frames per second. In addition to this, it also sports dual screen. The camera is powered by the potent Ambarella H2-2S85 chipset and an advanced image sensor, the Sony IMX377. The Pro outperforms the other two models in the series with value-added features such as voice control support. In fact, it is the first camera from SJCAM to support such functionality. 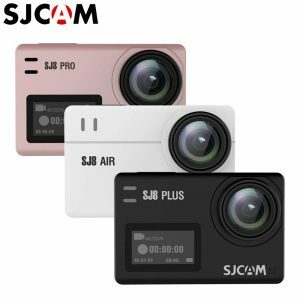 There were rumors that the SJCAM SJ8 Pro 4K will ship with GPS support but that theory has been debunked with the camera’s launch. You still, however, get WiFi support. It may not be as exciting as having a GPS equipped camera but is definitely a very useful feature. 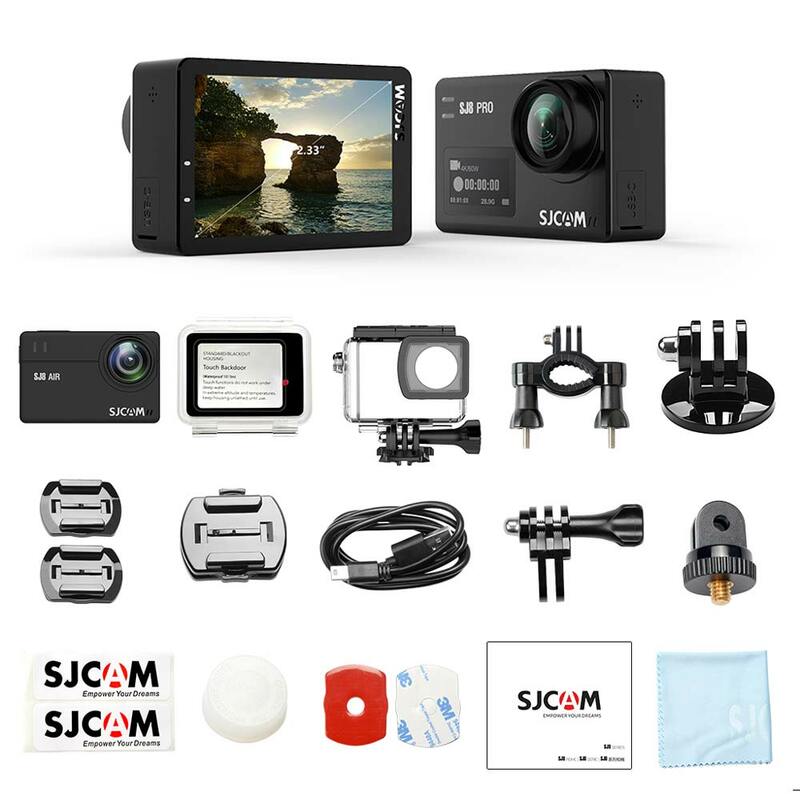 The SJCAM SJ8 Pro 4K boasts of a powerful Ambarella H22S85 chipset and Sony IMX377 image sensor. It can click still shots at 1080p and 120 fps offering a 12MP resolution and record videos in 4K at 60fps. You also get 8x zoom, 7G Aspherical Lens, Gyro Stabilization, LCD Touchscreen for the primary screen. 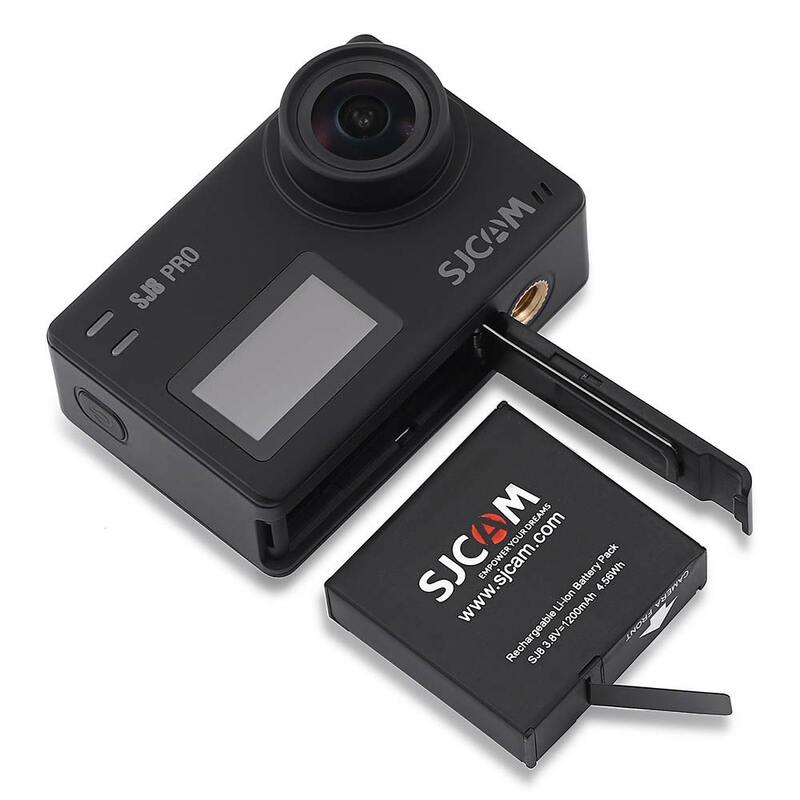 It is a water-resistant camera tucked inside a waterproof case and sports dual stereo microphones, a robust 1200 mAh battery, WiFi connectivity, cloud storage option, and voice control. In short, the SJCAM SJ8 Pro 4K is one of the best 4K action camera in the market today. See the miraculous work of Ambarella processor and Sony Sensor IMX377 combined. Clean image even after 8x magnification. (90 feet) with the SJ8 PRO. The SJ8 PRO has a very sleek and sturdy waterproof case. 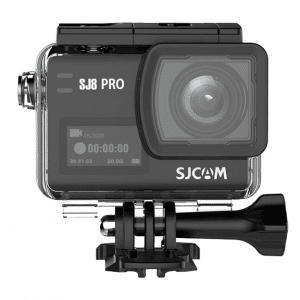 Users may now customize the UI with the option of using either the colorful 2018 Icon Set or the Classic SJCAM User Interfaces. 7 layers of glass lens (including 2 layers of Asperic lens) allows for a distortion-free, high resolution, 170-degree Field Of View, perfect for capturing everything that is in front of the camera with absolutely crisp and vibrant detail. Reversible USB Type-C connector which brings great convenience for users. Faster transfer rate up to 40Mb/s, much faster than all previous models. Can also charge other peripherals. SJCAM comes with 2 microphones, one on the front and one on the side which not only allows to record amazing clear sounds, but also enables noice cancellation. The new camera model now sports a 1200mAh high capacity battery, it can record 4K/60fps approximately 90 minutes. That’s a whopping 30% improvement compared to all previous SJCAM models.